EGLSF at the “Play the Game 2017” conference, Eindhoven. 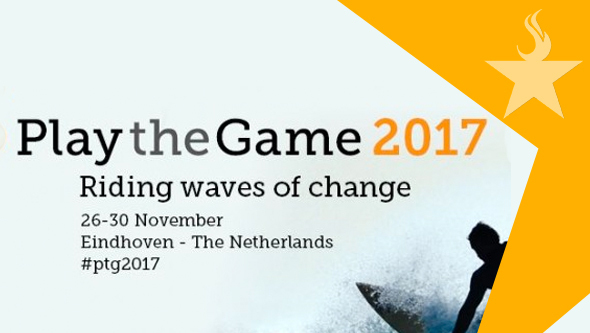 This year there was the 10th edition of the Play the Game Conference in Eindhoven. More than 450 participants discussed the biggest challenges in the world of sport. At the centre of the conference are classic Play the Game themes like doping, match-fixing and corruption in sport, but themes like innovation and new trends in sports such as e-sports have also found their way in to the programme. This 2-day conference in Ljubljana, organized by SPOLINT in association with VIDC, united players from international and national sporting organisations (including FIFA and UEFA), representatives from grassroots organisations, NGOs, clubs, professional athletes, activists in LGBT rights, academics and sports professionals – all with the goal of discussing homophobia in football, in anticipation of the FIFA World Cup 2018 in Russia. The two days were organized with a mix of workshops, plenary sessions and panel presentations, and united over 70 participants from 17 countries. 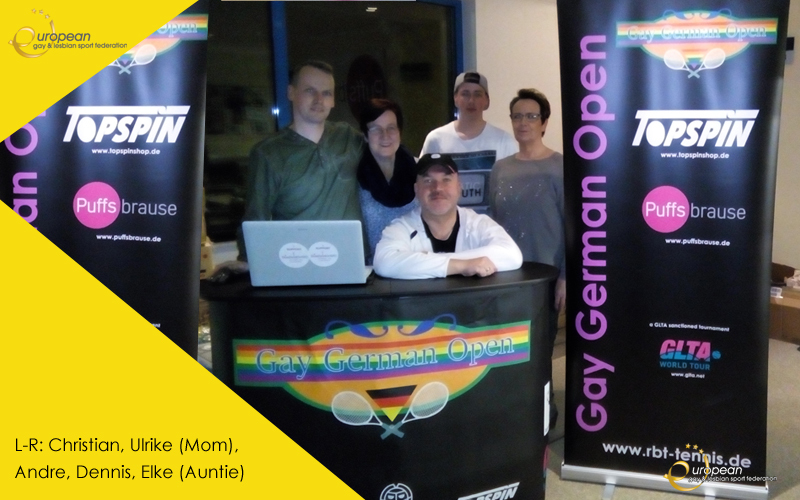 For the 11th time, the Gay German Open, a non-profit tennis tournament sanctioned by the Gay and Lesbian Tennis Alliance (GLTA) will be held in Kaarst, 5th-7th January 2018. Tournament director André Gielliet of RainBow Tennis Dusseldorf will welcome more than 110 participants from all around the world for the 3rd time at the TESPO Indoor Venue in Kaarst, 20 km west of Dusseldorf with 12 Carpet Courts. For the first time in GLTA history, singles & doubles consolation matches will be a Fast4 Tennis Event – a format which was successfully invented in Australia. 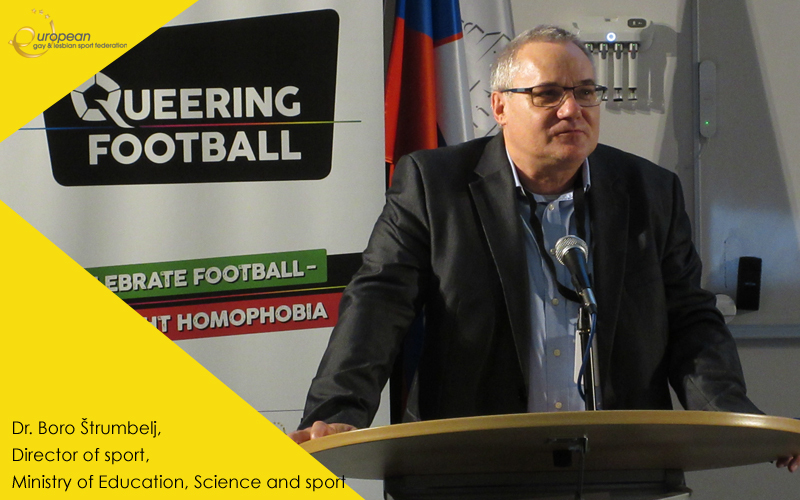 Over 70 participants from 17 countries gathered at the Sport Faculty of the University of Ljubljana to discuss the topics of homophobia, prejudices and violence against LGBTIQs in the context of football and the FIFA World Cup 2018 in Russia. 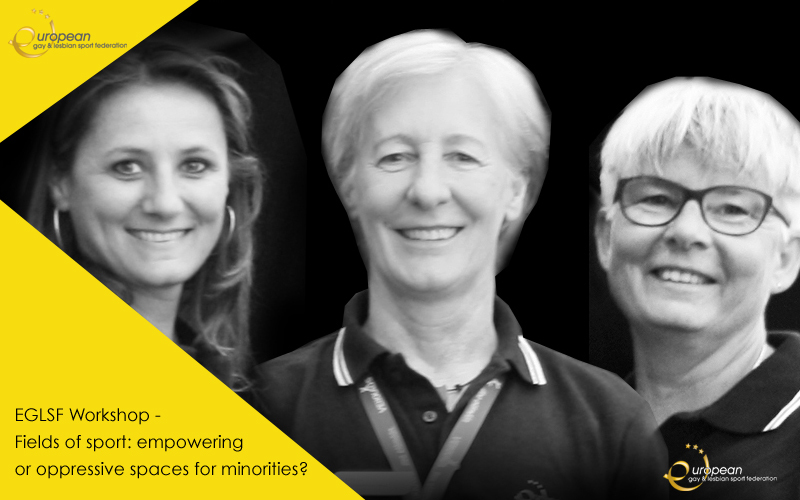 EGLSF Workshop – Fields of sport: empowering or oppressive spaces for minorities? 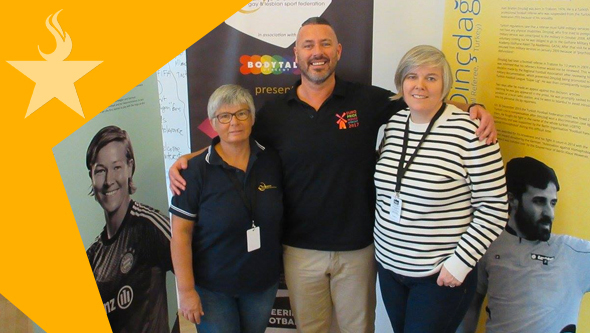 The women board members of the European Gay and Lesbian Sport Federation (EGLSF) – Annette Wachter, Diana van den Born, Sarah Townsend - hosted a workshop in the “Fields of sport: empowering or oppressive spaces for minorities?" session at the European Lesbian Conference (EL*C) held in in Vienna from 5-8 October, 2017. As the only sport representatives present, we had a good amount of time to present the current state of play with the EGLSF, the EuroGames, club membership, and open a discussion with the attendees on lesbian participation in sport at a grassroots level. EGLSF2017-11-13T15:08:54+01:00Monday, November 13th, 2017 @ 15:08|Categories: 2017, Advocacy, Members, News, Projects, Sport|Comments Off on EGLSF Workshop – Fields of sport: empowering or oppressive spaces for minorities?